Like stones polished by the sea, some ideas take time to wash ashore. The thought of a ballads project had been riding the waves of Jay Thomas’ brain for years. 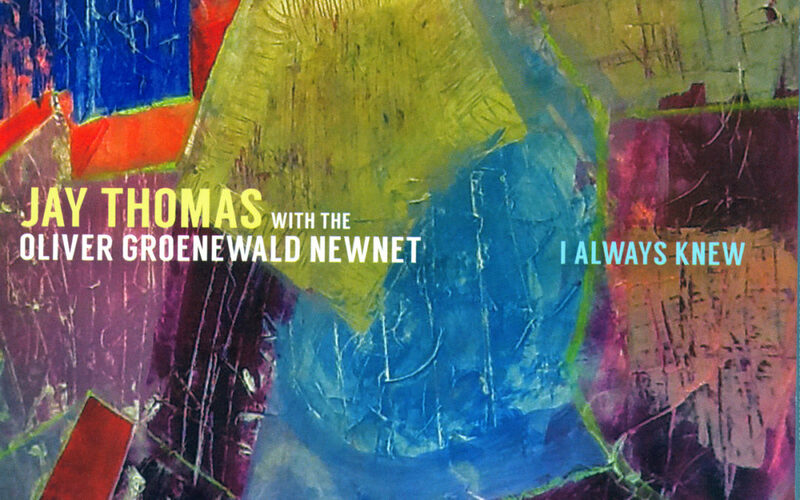 A melodic and introspective multi-instrumentalist, Thomas has always been drawn to the great balladeers of jazz. It wasn’t until collaborating with fellow trumpeter and arranger, Oliver Groenewald, that the idea caught its break. I Always Knew is the glistening gem—a dazzling collage of sounds from 10 heavy hitters in the Seattle scene. For the project, Thomas selected 12 works for Groenewald to arrange. Groenewald arrived in the Pacific Northwest in 2013 from his native Germany and made quick work of bringing together the region’s finest with his NewNet. Not quite large, not quite small, the “little big-band” is fertile ground for Groenewald to mine with his arrangements. Fans familiar with Thomas’ oeuvre will recognize the rhythm section of Michael Glynn (bass), Adam Kessler (drums), and John Hansen (piano) from his band, The Cantaloupes. Rooted in a harmony that blooms from years of collaboration, the three musicians provide a foundation for the rich textures and timbres from Thomas (trumpet, flugelhorn, alto, tenor, & soprano saxes), Groenewald (trumpet, flugelhorn), Brad Allison (lead trumpet, flugelhorn), Dan Marcus (trombone, flugabone), Travis Ranney (alto sax, flute, clarinet), Pete Gallio (tenor sax, flute), and Greg Sinibaldi (baritone sax, bass clarinet) to emerge. 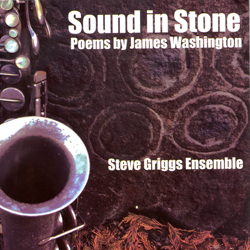 Saxophonist/composer Steve Griggs’ new album, Sound in Stone, is inspired by James Washington, the multi-talented artist from Mississippi who made his home in Seattle. Better known for his stone sculptures that can be found across the city, Washington was also a poet. On this album, Steve Griggs composed music to accompany and highlight Washington’s poetry. Trumpeter and composer Ray Larsen’s Tyrant Lizard operates in a hardto- define realm of free-wheeling, Americana-inflected chamber jazz (other touchstones are the Westerlies and mentor/icon Bill Frisell). The trio persuasively staked out their turf on their superb 2016 debut the follow-up Story Time is a worthy successor. 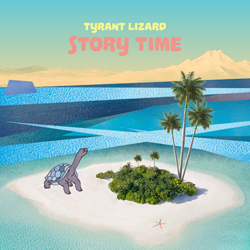 Story Time focuses a bit less on avantimprov textures than the first album, favoring instead the gorgeously lyrical and often meditative side of Larsen’s writing. Since bassist Carmen Rothwell and guitarist Gregg Belisle- Chi left Seattle for New York, leaving less time for the frequent rehearsing the trio used to do, Larsen brought more fully fleshed-out compositions to the sessions for Story Time. Though the band might have left behind a bit of the improvisational darkness of their debut, the trade-off is a superbly cohesive and concise set of music. The highlights of this winding collection’s journey are many, such as the album opener “Someday,” which manages to bridge both roadhouse roots and African highlife. Another peak is the gorgeously elegiac title track, which finds a pensive peace through a somber rubato yearning and resplendent trumpet performance by Larsen. The pacing of the album is sublime, with deftly playful contrasts, such as Belisle- Chi’s “No God in the Sky” (where the trio goes fully free and outside) followed immediately by an oftcovered 1926 chestnut “Tonight You Belong to Me” (covered by everyone from Nancy Sinatra to Eddie Vedder). Listen through from start to finish for the full effect. 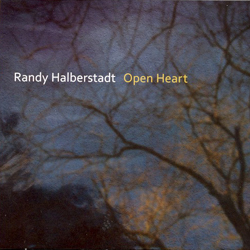 Randy Halberstadt, the well-regarded Seattle pianist, composer, bandleader, and longtime faculty member at Cornish College of the Arts, brings us his fifth album as a leader, titled Open Heart. While the cover art effects the typical Seattle winter scene—bareleafed trees and a gloomy atmosphere— this album is anything but grey.